Summary: The description, specs, photo and user ratings for the Detonics Combat Master Evolution pistol. 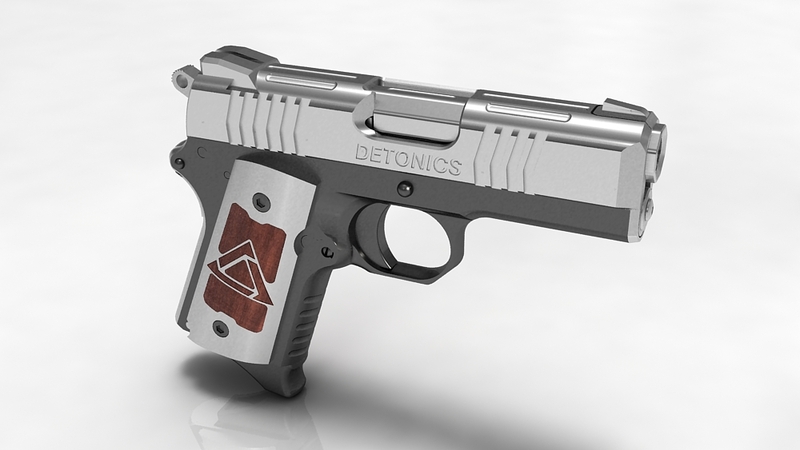 The Detonics Combat Master Evolution is the latest iteration of the first sub-compact .45 ACP originally developed by Detonics more than 30 years ago. New enhancements to the weapon will give it high-end, competition-grade features not found in any off-the-shelf consumer-grade firearm. The Combat Master Evolution from the right. Offered initially in .45 ACP (six rounds) and .40 SW (seven rounds). Plans to offer it in 9mm and .22 LR in the future. Frame, slide and barrel are all precision CNC machined from bar stock with custom serrations and fluting. Octagonal Sighting System (OSS), allowing for nine points of contact for maximum locking of the barrel to the slide. .45 ACP 6+1 6.7″ 3.5″ 30 oz. .40 SW 7+1 6.7″ 3.5″ 30 oz. This entry was posted in .40 SW, .45 ACP, $1,751-$2,000, 1911, Detonics, Semiauto, Subcompact on June 11, 2010 by Staff.